Troy Hanson has become quite adept at integrating two perspectives at the same time. 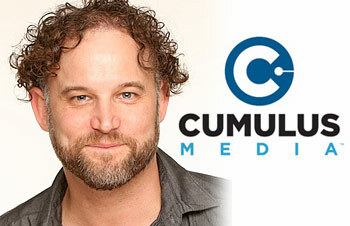 As VP/Programming, Rock, Hanson takes a "big picture" view of the direction of Cumulus Rock stations across the country. As PD of WKQX/Chicago, he oversees the localized, day-to-day minutiae of making the Alternative station succeed in the Windy City. Here, he offers the insight he has gained from programming both formats simultaneously. How long have you been programming or overseeing Rock/Alternative stations? We're probably talking over 20-some years of programming Rock and Alternative stations, probably 26-27 years in the business itself. Like a lot of radio folks, I started out on-air and eventually found myself working in different departments of the station. It enabled me to build and develop my personal skill sets. How have both formats evolved in that time? You know, I still remember the day the cardboard sleeve single for "Smells Like Teen Spirit" arrived at KQDS/Duluth. That was such a generational changing record because at that point in time, Eric Clapton's "Journeyman" was currently on Rock radio. The challenge for us was: "How do we make this song fit with Journeyman, Kansas, Boston and all of the great classic rock that was being played on Mainstream Rock stations?" Certainly, it found a home on Alternative radio, which up to that point existed but didn't break out into mass appeal until the mid-'90s, when these bands put out product with more commercial appeal. As I think about it, that was also the starting point when trade magazines like FMQB and Album Network started giving their own tags to Rock stations, such as Aggro Rock, Active Rock, 18-34 and 25-54 Rock. That was a unique time; from 1991-97, Rock stated to experience its first fragmentation. Doesn't that fragmentation continue to this day, what with Active and Classic Rock? Yes, but there are still a bunch of quality Active Rock stations that play Back in Black and have decided to maintain a Classic Rock quotient in their programming. Other stations have decided to leave a big part of that library, but Nielsen has shown that Rock stations can continue to have a strong gold library and still do well. The same is true in our case with Alternative WKQX, only with different gold titles. Truly successful Active Rock stations do have healthy doses of whatever was Classic Rock for them, be it Motley Crue, Def Leppard or AC/DC ... whomever is part of the mainstream. Are you happy or satisfied with the quality - and quantity - of Rock and Alternative product today? In regard to Alternative, my personal tastes lean towards guitar-based music, but that's not where Alternative is at. There may be a smattering of different tracks with strong guitars, but its current hits primarily have more pop crossover appeal, so those tracks have "favored nation" status because they provide a bigger ROI (return on investment). When you go across to the Rock side, slowly, over the last couple years, more and programmers are seeing that the format has to become broader in its appeal in order to have a larger ROI. In the not too distance past, it became very easy for Rock to get too caught up with itself and pigeonhole itself into being a non-cume-friendly broadcast. There's a limited amount of cume-friendly records at Active. And while I'm not saying we should go all in on every single record from twenty one pilots or Imagine Dragons, you need to be on their bigger hits in some way, shape or form. To ignore them is myopic; you simply need to have a cross-section of Rock hits. Be okay with a vocal minority dissent; be more concerned with a silent majority. Seems that instead of creating a greater difference in music between Rock and Alternative, you're advocating more crossover hits. Totally! There's plenty of space for more crossover records; it would be healthy for both sides. I know there are still programmers out there who'd view that as a bad thing. Sure ... why would you want more people listening your brand? At the end of the day, sometimes we have to get out of our own way with these boxes we put ourselves into. Just look at the streaming data and the metrics. The audience isn't putting up any boxes in the music they listen to. Why would they want to be in a box put up by a programmer? That's jive and the audience knows it. Since you mentioned streaming, how do you view and utilize it? Is it a more a research tool, say, for new hits, or do you use it in programming the music you're already playing? One begets the other. Programming and research certainly are two of the bigger metrics we bring into the weekly music meeting. If you're not looking at the regional and national streaming data from a metric standpoint, you're failing your audience and their expectations. Some programmers are cautious with streaming data because they believe the metrics inherently lean to gold and recurrents at the expense of new music. How do you see that? If that's an observation that it discourages people from playing new music, I refer to what I think Scott Shannon once said: "I've found ... that if you play the music people like, they will listen more." That's what my answer would be. People like what they know and they know what they like. Why is that a bad thing? Just because some things are more gold and not new is not the death knell of new music discovery. That will always exist, but to argue that you shouldn't play older music is ridiculous. So the notion of being "the first to break to new music" is no longer desirable for Rock and Alternative stations? I don't think it should be placed as the highest priority. In the world of the Internet, being the first to play something is pure ego-driven chest beating, not a winning formula. If a programmer wants to get behind a new song because he or she wants to be part of something big -- and it makes sense for the audience, or it's something they're demanding - then he or she might as well go for it. But remember, when it comes to music, "It's not about me, it's about we." So, considering all that, are you playing as much new music as in past years? We're playing just as much new music as we have in the last two to four years. In terms of what we do in new music, we haven't strayed from the model we originally established. Granted, every 15-16 months that model may go up or down to reflect the music cycle. Plus, when we play more crossover friendly hits, we tend to see sales lifted a bit higher and we tend to enjoy larger Nielsen numbers. Is it better now ... and do I feel good about it? I'm not in love with where we're at musically, but I don't hate it, either. How's that for a nice vanilla answer? Are the characteristics behind a great Active Rock DJ the same as it is for an Alternative DJ? Absolutely. They both have to be compelling, interesting and entertaining, who serve up what the audience is talking about, while playing the hits and curating new music discovery. That, by the way, goes for Hot AC personalities, Urban personalities, Country personalities and Classic Rock jocks. It doesn't matter what format it is at all. How close or different should an Active Rock be when there's a Classic Rock station in the market? First you have to look at how you compete demographically before you compete musically. Demographics come first. If you're an Active Rock station that's already winning the day 25-54, you don't have to obsess, note for note, over every Classic Rock title you miss from your matrix. Most Active Rock stations worth their salt have some form of harder Classic Rock gold in their makeup. It depends on how deep they're willing to go sonically to make sense with today's new rock. You listen to a great guitar riff from AC/DC or Motley Crue and see if it makes sense with today's rock from Shinedown, Godsmack or any other straightahead rock band; it can jive well. Some Active Rock stations have a formula for an absolutely brand new look, and '90s material may be too Classic Rock and not part of a space that's focused on rock from 2000 on. That kind of focused format can work, but that's not necessarily how we see our strategy. To each his own. There seems to have been a plethora of stations flipping to Alternative lately. Why do you think that is? Is there something in the latest metrics showing a growing taste for the format, or is it more of "jumping on the latest bandwagon" mentality? 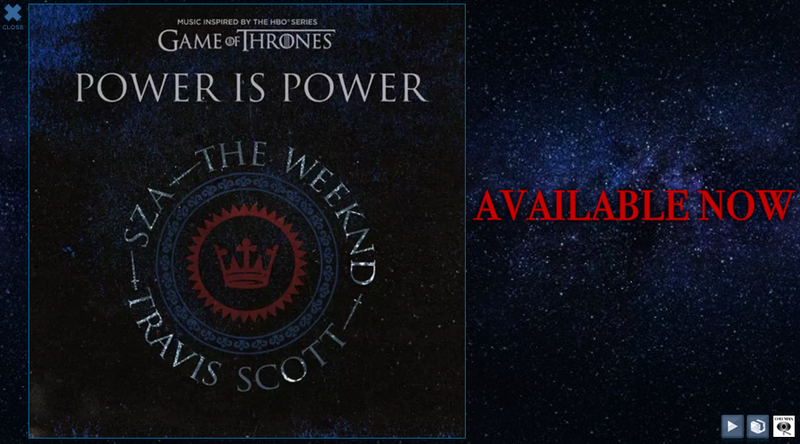 There is strong crossover appeal to the music being pumped out at the format these days. Couple that with some companies seeing a larger platform reach strategy inside the format as a good reason to make the flip. The Alternative station you program, WKQX/Chicago. is offering its own branded craft beer. Is NTR products and events the best way to extend a station's brand? Yeah, it really is. In today's day and age, where anybody can play Walk The Moon, we also have to reflect Chicago's flavor around this town. We're big on integrated marketing concerts and events, selling T-shirts - and launching a beer is what a lifestyle-driven station can effectively do. We're not just reliant on bands and songs. We want to be a 360-degree lifestyle brand for listeners and give them the ability to use us however they want, listen to us wherever they want, and allow us to hang out with them if we get the honor and pleasure of doing so. We felt our own beer would be a nice complement for what we're doing actively out on the streets, not just business-wise, but it affords us the opportunity to give back and, in this case, highlight suicide prevention. How do you balance a corporate direction for Rock stations with individual market programming? Every PD is responsible for his or her own radio station, but the new leadership with Mary Berner and Mike McVay have brought changes to our function, by warmly embracing the goal of giving our programmers as many tools, information and metrics as possible to enable them to make the best decisions for their stations. This goes back to the mantra that stations playing the music the people want to hear the most will win. And we've crafted the best practices around the country to do just that. If we give them as much of info as we can on how to best program their stations, their savvy, talent and programming prowess should win out. Without divulging any "secret sauce," per se, what do you feel are the keys to growing both Rock and Alternative stations in today's radio climate? Be about your audience and be about them with passion. Be okay with taking chances and failing. Personalities make the difference; encourage them to engage the audience - talk to them, not at them. Keep looking for the next star and the next generation of stars - for the radio. Is the nature of the radio programming beast today more of a day-to-day urgency than setting three, five or 10-year goals at attain? Definitely more day to day. I've seen stuff change too fast, too quickly to set five or 10-year plans. I do have ideas where I would personally like to be five or 10 years from now, but this world changes every 30 to 60 to 90 days, with new technology or gizmos in some way, shape or form. It changes what we do and redefines what's going on in the eco-space. Which is probably why I think more about things on the day-to-day than year-to-year.